SSS travels nationally and internationally to perform aviation NDT inspections. 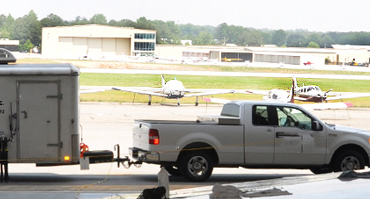 We are prepared to fly or drive to your location to perform any and all of the NDT methods. Our mobile radiography labs enable us to perform radiographic testing, film process and detailed interpretation onsite. Our customer base is comprised of private aircraft owners, small aviation businesses, corporate jets, military and major commuter airline companies. Our professional technicians are highly trained and certified to deliver excellent service and accurate interpretations. We arrive on time and prepared with the right equipment, the right standards and everything needed to get the job done. You will have the reports in-hand when we leave your site.